1Public Health Agency of Canada. 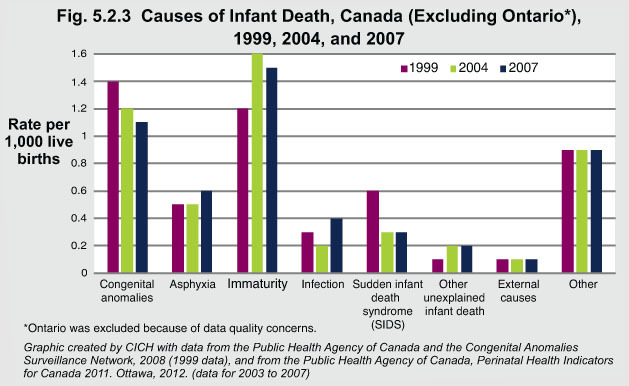 Perinatal Health Indicators for Canada 2011. Ottawa: Public Health Agency of Canada; 2012. It is important to monitor congenital anomalies for possible associations with environmental factors, as the human genome responds to the environment in a very dynamic fashion.3 In an effort to facilitate health service planning, methods for collecting information regarding congenital anomalies in Canada could be improved for more accessible and reliable data.